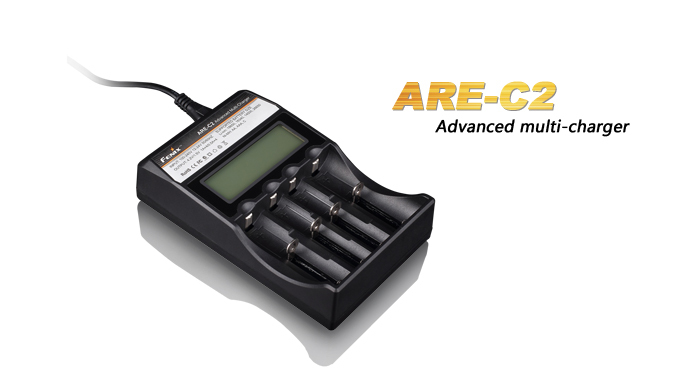 The ARE-C2 is an advanced multi-charger compatible with a broad spectrum of Li-ion and Ni-MH rechargeable cell sizes. This charger is capable of charging four different rechargeable batteries simultaneously while the LCD display keeps you informed with readouts of voltage and charging status. Utilizing exclusive accelerated charging technology, it takes only three and a half hours to fully charge four ARB-L2 (2600mAh) 18650 rechargeable batteries.